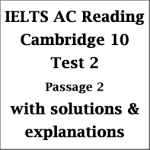 Since IELTS exam in an English Language Proficiency Test, it focuses on four language skills which are Listening, Reading, Writing and Speaking. 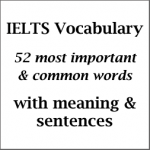 Having in-depth knowledge in English vocabulary can dramatically improve the score as this contributes up to 25% in the total score. It plays a very important role directly in Listening and Reading section. 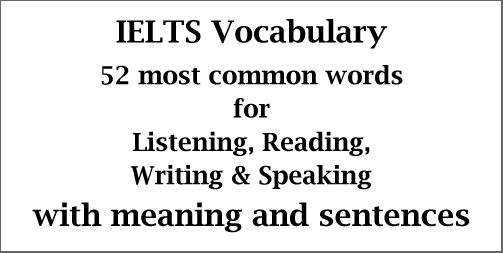 This post focuses on 52 most common and important words which are commonly found in IELTS exam papers. 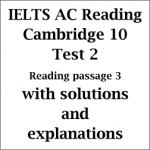 I hope these words help you in your IELTS preparation and, may be, in some other exams as well. 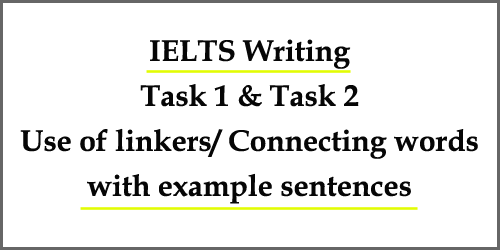 In IELTS Writing, both in task 1 and task 2, using linkers/connecting words/connectors or linking words are very important. 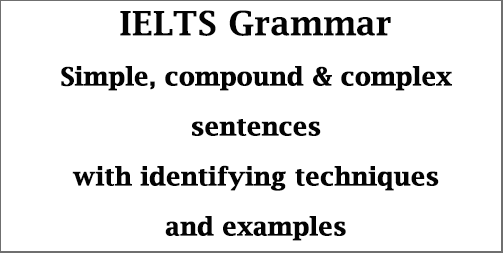 As IELTS exam checks a person’s ability in using the English language, the Writing exam becomes very crucial. It is because the examiner can, in fact, has an overview of the test taker’s use of vocabulary, the range of grammar, coherence, cohesion etc. 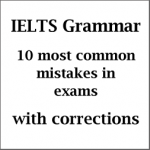 Coherence and cohesion cover a quarter of the Writing exam marks. 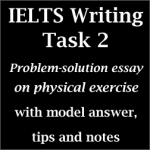 So, to make the description of the picture (task 1) and the essay (task 2) more effective in terms of coherence and cohesion, successful use of linkers needs to be accurate and to the point. The following discussion on linkers are, hence, very important and you should have a close look at it. 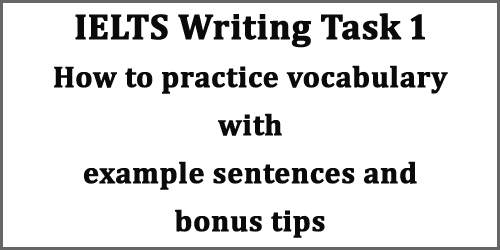 If you don’t understand the word or phrase, please have a look at the example sentences.